Packard's Shell has been a staple of the Nashville automotive scene since 1996. We've spent this time proudly serving the Nashville area and have become a valued part of the community. Whether you need general upkeep and maintenance or a complete vehicle overhaul, Packard's Shell has been there to provide excellent service and trustworthy advice. Our customers return to us whenever they have an issue or even a small concern about their vehicle because they know that they'll receive the very best in automotive care. Our highly trained technicians allow us to provide solutions to a wide range of problems, getting you back on the road quickly without breaking the bank on repairs. Packard's Shell specializes in 4x4 Services, Alignment, Brakes, Car & Truck Care, Domestic Cars & Trucks, Electrical Services, Electronic Services, Engine & Transmission, Engine Maintenance, General Services, Heating and Cooling Services, Import Cars & Trucks, Miscellaneous Services, Quick Lube Services, Tires, Towing, Transmission Services and Undercar Services and we are proud to help our customers get our safely on the road. Stop in or give us a call at 615-883-0606 to let us know how we can help you! Awesome service! These guys are honest, straight forward and very competitively priced. I have used them for many years and will continue doing so as maintenance and repairs are needed. We stayed overnight in a Nashville hotel and found a flat tire on our car when we went to leave. We found our way to Packards and Chris quickly found a huge nail in the tire and fixed it quickly so that we could get back on the road to a wedding in Huntsville. Everyone was so kind and helpful. Definitely recommend this place! Of note, all of the other tire service centers we called said they were busy and the earliest they could get us in would be 3-4 hrs later. Packards said get here and we can fix it! Thank you! My automobile got serviced here, this past week. I got a ton of stuff done, including spark plugs, hoses, brake pads, fuel filter, air filter, etc... etc... I chose them because I wanted a relationship with my mechanic. I want to be able to call and know I can get in, quickly and have the work done efficiently. Pleased with the work, prices were competitive to other service stations. No discounts, no overcharging. Service was efficient. Fantastic Service ! These gentlemen are passionate about their customers and consummate professionals when it comes to service. I've heard so many compliments about this "Service Station" that when my car needed attention, I gave them a chance. I'm so pleased with the level of service, I'm going to start buying all my gas there too, just to support a local owner/operator. My truck needs some loving attention and no question about it, I'm taking it to Packards. They still offer full service Gas pumps and are under the Shell Oil Brand. Awesome service and great prices. The customer service is outstanding and the prices can't be beat! Great staff. 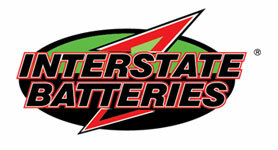 Very friendly and most importantly, will plug a tire when you need it! Fast, friendly and excellent service! Had a piece of metal in tire...removed, plugged, inflated and back on the road in under 10 minutes! Great filling station with full service options and garage for vehicle repair. Highly recommended. Great staff, knowledgeable. Hit a pothole which dented my wheel. Beat it back out and got me back on the road. Repair was 2 years ago and still works great. No nonsense, that will tell you what needs to be done and get it done. Great local business run by Bill Packard and his associates. Good mechanics, knowledgeable and honest. Dropped off a tire that blew out to have it repaired. Service guy pointed out it was torn on the sidewall and could not be fixed. Sold me a good used tire for $30. Not only did they put it on for me, but the other guy who helped, straightened up the back of my car (it was strewn with parts in my attempt to change my tire out), put my jack kit back together, spare back in its cubby, and just... they really took care of me! I will be back. My husband and I returned from travel to find a nearly flat tire. We were referred to Packard Shell due to it being open at 8:00 PM on Monday evening. We were extremely pleased by the friendly, helpful, knowledgeable technician, Matthew, who helped get us back on the road in no time. He was thorough and detailed in finding the problem with the tire and fixing it for us. We couldn?t be happier with our experience! We highly recommend this location for a reputable experience!